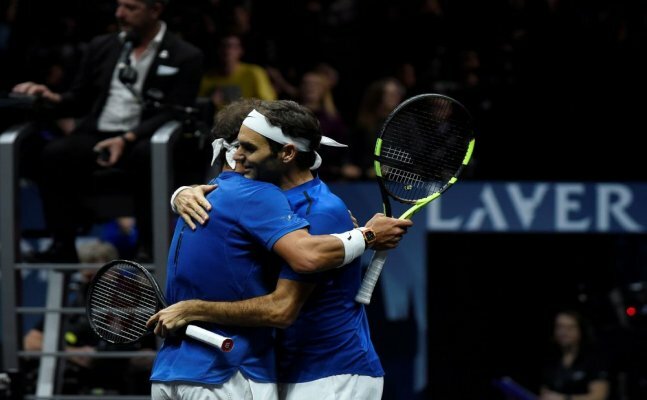 In front of 17,000 lucky fans at the O2 Arena in Prague, Europe team of Nadal and Federer defeated World Team 6-4,1-6 (10-5) to extend Team Europe's overall lead to 9-3 heading into the final day of Laver Cup. For any tennis lovers, Roger Federer and Rafael Nadal teaming up are like Batman teaming up with Superman, it’s insane and equally intriguing on how their collaboration pans out. The world of tennis stopped for 81 minutes to watch Federer and Nadal unit for the first time, it was the sport's equivalent of a solar eclipse. It was a celebration for tennis, the sight of single contenders and rival in doubles is very rare these days. The hype, drama everything panned out exactly as how everyone expected as the super duo outclassed Jack Sock and Sam Querrey. It was historic to see two all-time greats, currently, No. 1 and No. 2 in the world, become doubles partners for one day. But it’s also unique because it felt like we will never see this happen again.